One of the most common beliefs in the practice of international relations is that the external policy of a state is a projection of its power, of its economic and military strength. The more a nation is developed and armed, the greater its influence in international politics. We must recognize that our country will never be able to project a massive economic and military power in international politics – which does not mean that Romania should resign itself to being a player in supporting roles whose international profile would be exclusively defined by its membership in the European Union and NATO. For us Romanians, the centenary of our union could be not only the occasion for festive celebrations but also a source of inspiration for the future, including the field of foreign policy. A century ago, Romania was a power brought to its knees, a separate peace had amputated the territory. (…) And yet, a year later, Greater Romania was born, which was destined to become a regional power and a major actor in the debates of the League of Nations. This historic leap, the appearance of Romania at the forefront of the world scene, has not been a projection of the military and economic power of the Romanian state, but the result of a project of Romanian society, implemented with the help of a political principle formulated by an American president. The place where our unification project met the Wilsonian principle of self-determination of nations, to bring together the Greater Romania, is called democracy. The power of a nation and its influence in international relations cannot be measured only in economic and military terms. It is not a question of strategy and geopolitics. The heft of a nation can also come from a project that it incarnates and from a behavior guided by principles. … the sovereignty project of the Romanian nation-state could have the gift of drawing Romania’s foreign policy from anonymity and invisibility. Let us not delude ourselves: the simple condition of loyal, disciplined and silent allies will not give us any recognition. It may yield a safety that our country has not often enjoyed in the past. A safety which, if one takes into account the unpredictability that currently seems to characterize the decision-making process in the foreign policy of our most powerful allies, is not guaranteed for eternity. None of the safety constellations that shone on our national territory – pax romana, pax ottomanica, pax sovietica – lasted forever. In my capacity as President of the Senate, I shall not hesitate to work closely with the Ministry of Foreign Affairs in all the diplomatic contexts created and piloted by the latter, which are aimed at the adequate networking of our country, the development of bilateral strategic partnerships and the connection to regional cooperation platforms. 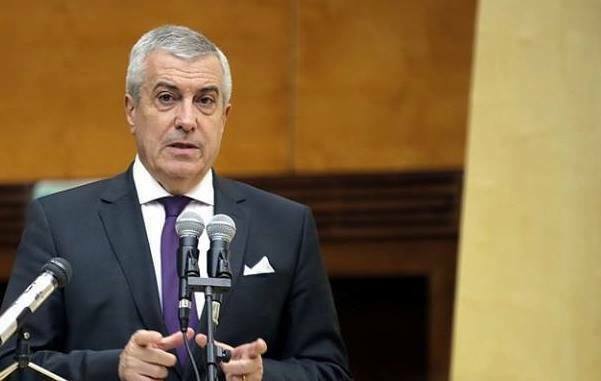 Implicitly comparing the Western Empire to its unfortunate predecessors, Tăriceanu sketches out a Romanian strategic doctrine which, with tact and finesse, buries – with all the honor it deserves – the idea of an end of history under the direction of a uni-polar Big Brother. One could speculate for a long time on his vision of the world and the causes that C.P. Tăriceanu really assigns to this ongoing episode of the old transitio imperiorum – his speech, in any case, allusively makes mention of one, which cannot leave its audience – including the most rabidly Europeanist elements in the audience – indifferent: the “unpredictability” of U.S. foreign policy, which in the diplomatic jargon of 2017 has become a veritable euphemism used to avoid pronouncing the controversial monosyllable (“Trump”). By treating national sovereignty as the inevitable embodiment of democracy rather than as a Machiavellian instrument of a will to power, the paleo-liberal Tăriceanu not only produces a version of regional history which the former liberals, turned conservatives, but still “civic” (polgári) members of the Hungarian ruling party FIDESZ can easily accept, but also sketches out a plan for the future of the region: a Europe of nations – in direct opposition to the openly anti-national (as well as, more discreetly, anti-democratic) federalist project of the Merkel-Macron line. A bold interpretation? Not so much – if one takes into account the explicit mention of “political consultations with the Visegrád Group” – admittedly skillfully buried within a list of regional initiatives, more or less ambitious and more or less realistic, but which, however, was noticed by all attentive observers, even immediately resulting in the usual shield-raising of the local media of liberal Atlanticism. Regarding the reasons and causes of this position, let us first be reminded that it is more exactly the radicalization of already established positions of C.P. Tăriceanu who last February called Brexit a “courageous decision” and expressed “disappointment” at the EU’s treatment of Romania. He subsequently denied the interpretation of his remarks, imprudently put into circulation by the Romanian edition of Sputnik, according to which he would call for a Roxit. Anyway, it was an informal talk held on a television set. Now Tăriceanu makes this moderate by firm position fully official by declaring himself, before all the diplomatic corps and from the Senate rostrum, potentially interested in a collaboration with the Visegrád Group. As the same causes produce the same effects, this hardening is all but mysterious: in February, his remarks came in reaction to the attempted Maïdan then under way to overthrow the coalition in power, despite the enormous democratic legitimacy which it enjoyed in the wake of the December 2016 parliamentary elections. Despite the de facto failure of the Maïdan, which has never mobilized beyond certain very specific sociological sectors of the Romanian metropolises, and has relatively quickly run out of breath, its inspirers (most notably President Johannis, the Romanian NGOs of the Soros galaxy and some Western embassies) did not lay down their weapons. The parliamentary majority having recently expressed its intention to revise the powers of an anti-corruption prosecutor whose exorbitant power – combined with those of the enormous Romanian “intelligence community” – seriously jeopardizes public freedoms, the “Johannis clan”, which dominates the media, has even launched a fierce counter-offensive, mobilizing the usual arsenal of a politically-weaponized “fight against corruption”: (unsuccessful) police raids, (completely illegal) leaking of intercepted phone conversations, etc.. As in February, the Western embassies, headed by the American ambassador (of German lineage) Hans Klemm, gladly trampled their duty of reserve and their obligations of non-interference, to offer media assistance to this onslaught of the “Brussels darlings”. But let us point out that, this time, Tăriceanu is no longer the only one to refuse to turn the other cheek: echoing the remarks of young PSD MP L. Pleşoianu, who called for the expulsion of Hans Klemm, the head of PSD, L. Dragnea – who in February seemed to be seeking conciliation or simply playing out the clock – has also recently tightened up the tone. The officialization of C. P. Tăriceanu’s pro-Visegrád tendencies could thus reflect, beyond the personal (and probably sincere) convictions of the latter, a concerted turn of Romanian foreign policy. Transylvania was never “annexed” by Romania; the Romanians of that province (who formed the majority of the population) empowered their representatives to vote in favor of joining their motherland. Maybe the author is not used to democratic actions like that, since it’s Hungary that annexed Transylvania in the past. Such a confusion is understandable for an uninformed person but not for a “journalist” working for a website that claims to reflect the realities of respectable Visegrad Group countries. “to incorporate (a country or other territory) within the domain of a state”. You aren’t the brightest of the bunch. You do know how to read but you have difficulties understanding the meaning of the words you’re reading. Leave aside the definitions that suit your narrative for a moment and research the negative connotation of the word “annexation.” Do Hitler’s annexation of the Sudetenland or Putin’s annexation of Crimea ring a bell? No, you are the only one who is challanged in understanding a concept. Annexation is a notion which is neutral in itself, just like eating. You can eat toads, garbage or broken glass just as well as you can eat scrambled tofu or potato pancakes or greek salad or whatever else. You can annex a territory where the population is of your own ethnic kin and where there’s a “historical right” or you can annex a territory out of sheer expansionism. But with that being said, are you aware that there were more ethnic Germans in “Sudentand” than Romanians were in Transylvania? Same goes for Russians in Crimea (roughly at about 65-70%)? Do you think those were legitimate? Why not? Sweet old times. Dancing between the Bulgarian Tsardom, the Serbian one, the Hungarian Kingdom, the Polish Kingdom AND the Ottoman Empire. There’s not any longer a single powerhouse around, namely the EU, but several raptors are now vying for influence in the area: Uncle Sam, The Moscal, the Celestial Dragon, the Great Turk…Let’s see if the Poles and Hungarians manage to build some resemblance of a power center although I’m afraid that Austria would steal it right from under their noses because, let’s face it, Hungarians aren’t “batisseur d’empires” material. And we’ll have to navigate between all these once again…God help us for among all those, there is no one honest enough to offer us a fair agreement. One thing is certain, though: our days of unconditional trust in the EU and USA are over. From now on they are fair game.